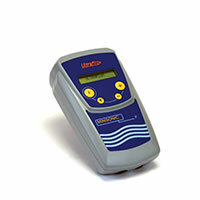 The Uf 821 flow meter is used to measure the flow of liquids in full pipe up to a diameter of 10,000 mm. Configurable via USB port, it is available in single and multi pipe versions and can integrate up to 4 measurement chords. It comes with an LCD graphic display and measurement validation indicators. 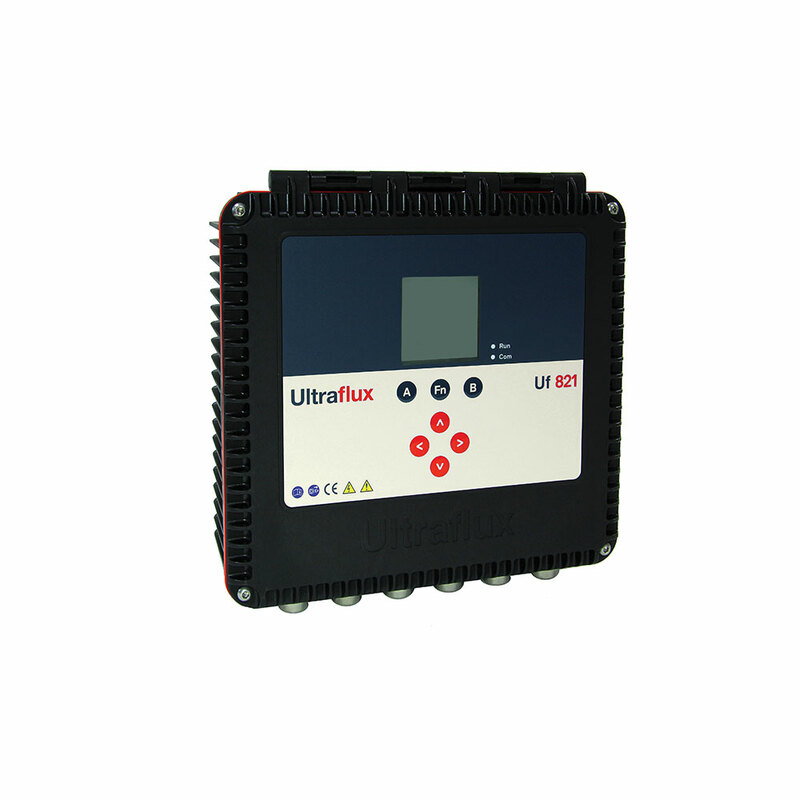 Equipped with a multi-variable data-logger and maths functions generator, it can also receive optional input/out modules (analogue, digital, temperature, etc.). The Uf 821 takes into account the different flow regimes by Reynolds number calculation. Drinking/raw water: Measuring flow rate and metering, supervising networks, etc. Waste water: Measuring flow rate in pumping stations, at purification plant intakes/outputs, in networks, etc. Environmental engineering: Energy balance report. Chemical products: Measuring the flow rate of acids, chlorides, overheated water, etc. Pharmaceutical sector: Demineralised water system processes, etc. Click the following link for our explosion-proof model: Uf 841.